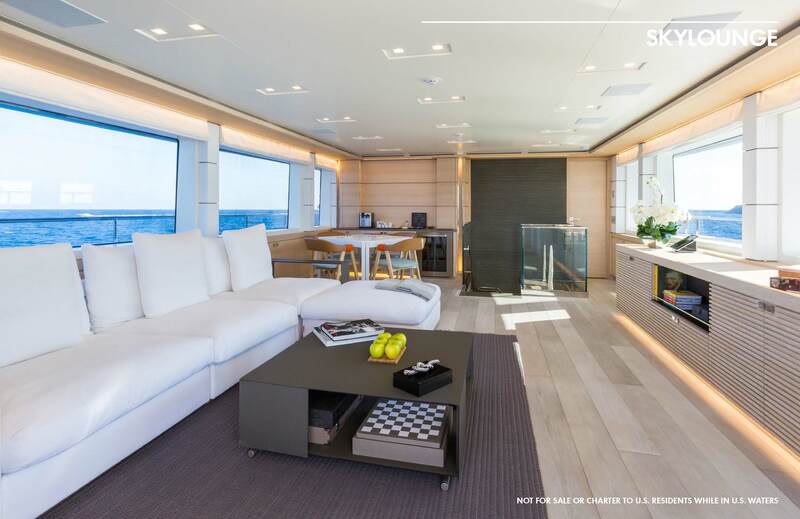 Though only 108 feet, the 2016-built Cantieri del Mar M/Y NARVALO offers an infinity-edged aft deck, a stairwell made of glass, stone and chrome, a main saloon full of natural light, a tender garage stocked with electric surfboard and electrical-assist bicycles, a forward seating area with two umbrellas, ideal for use coming into port, a sundeck with glass hot tub, tapenyaki bar and trapezoid-shaped bar, an upper aft deck dining area with nearby day head, plus skylounge with help-yourself coffee and cereal, and master stateroom with full beam stone bathroom. 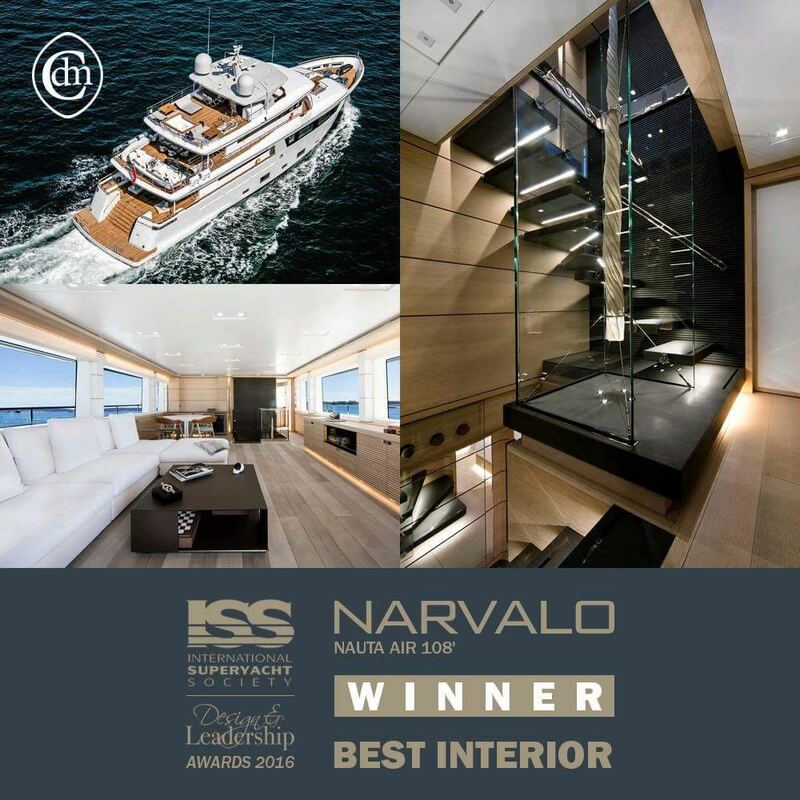 Accommodating ten guests, NARVALO won the 2016 Super Yacht Interior of the Year award. Captained by Tom Alderman, this experienced Crew have been on since launch. 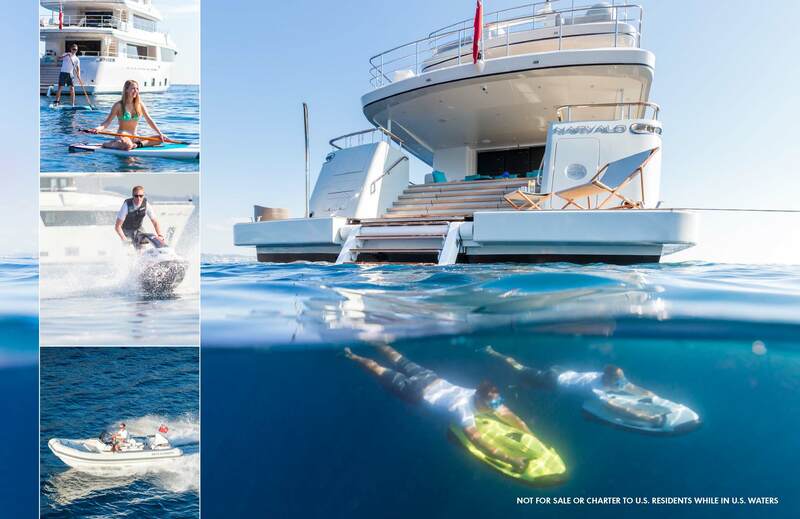 Following a busy 2016 summer season, this team really have shown their worth; young, enthusiastic yet ultimately professional, the Crew on board NARVALO are a serious asset to the program. 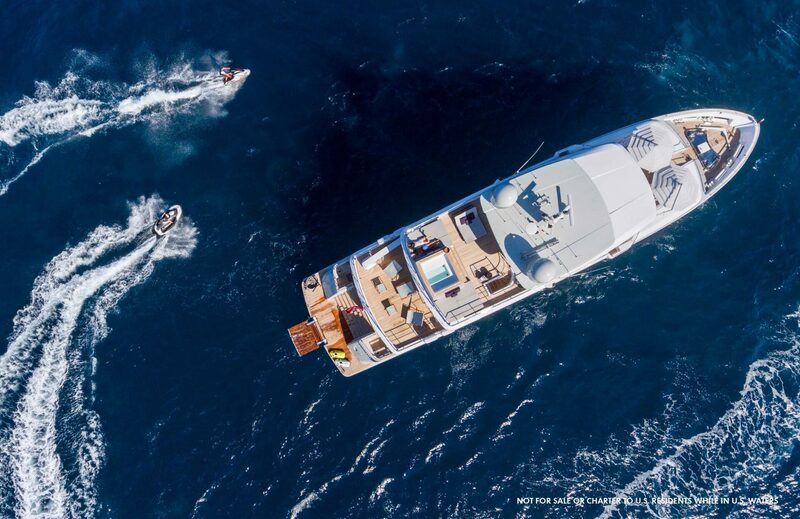 The current availability is late May and early June, and then late July and all of August, 2017 in the Western Mediterranean. 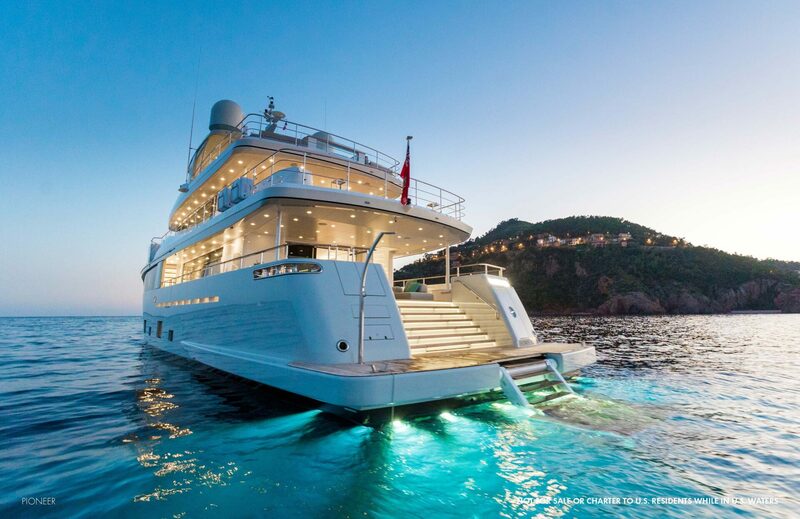 The current availability is late May and early June, and then late July and all of August, 2017 in the Western Mediterranean. 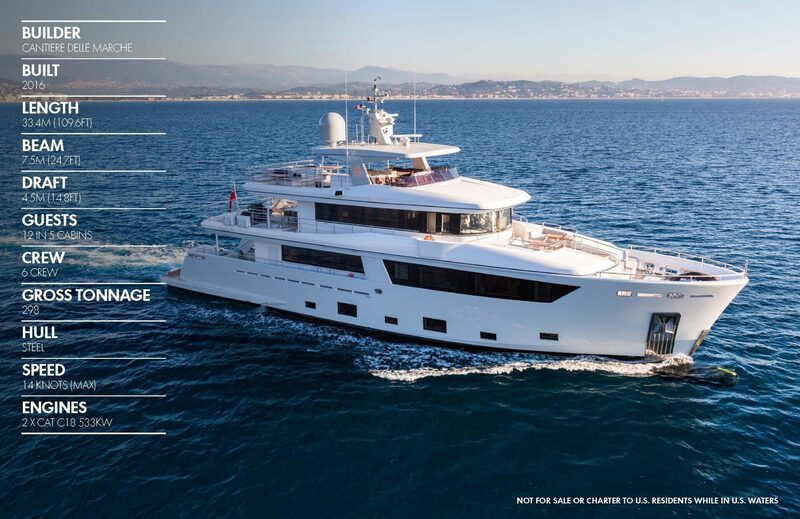 Launched in 2016 as the flagship of Cantiere delle Marche, 33.4m NARVALO is the latest in the yard’s Nauta Air Explorer Yacht series. 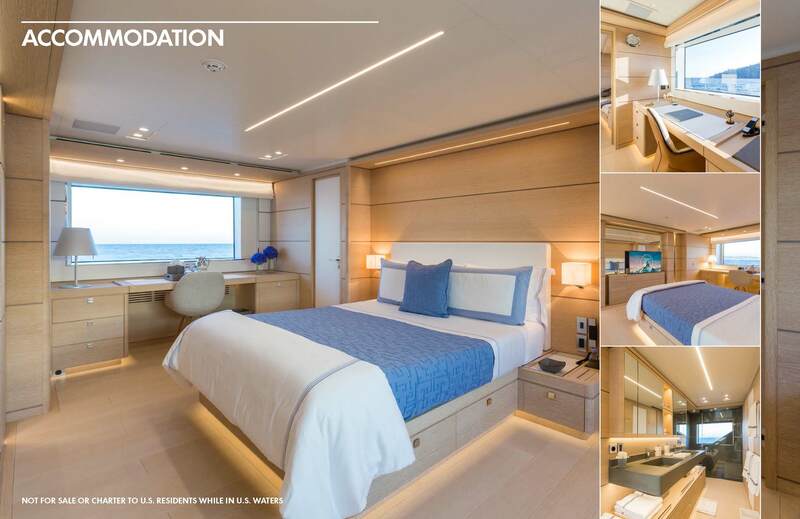 Built with off the beaten track discovery in mind, NARVALO is the first in a new class of explorer vessels. 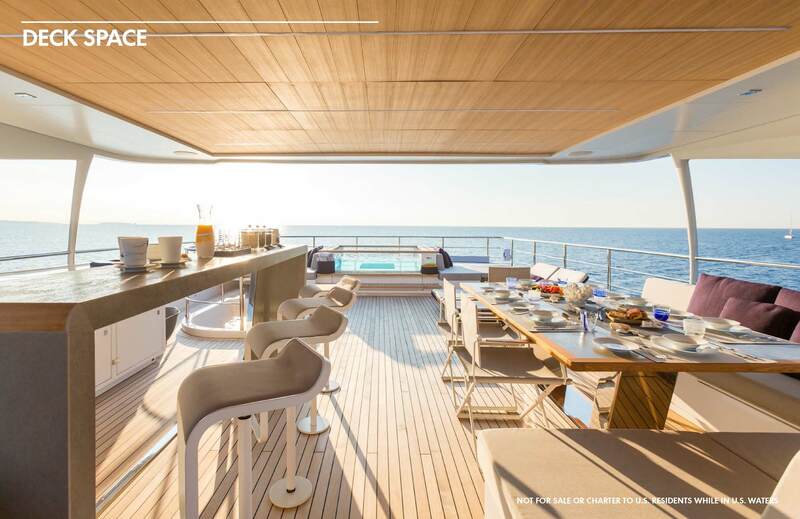 Combining long range capability with uncompromised onboard living, NARVALO balances volume and stability with elegance and refined Italian design. 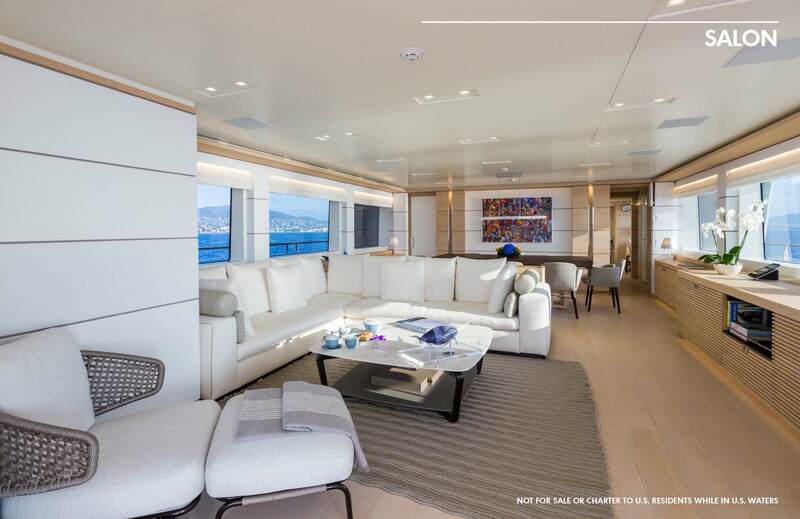 Interior and exterior spaces designed for comfort during long-range cruising include a large skylounge, 50m²+ of exterior deck spaces and space for a specially designed custom 5.5m tender. 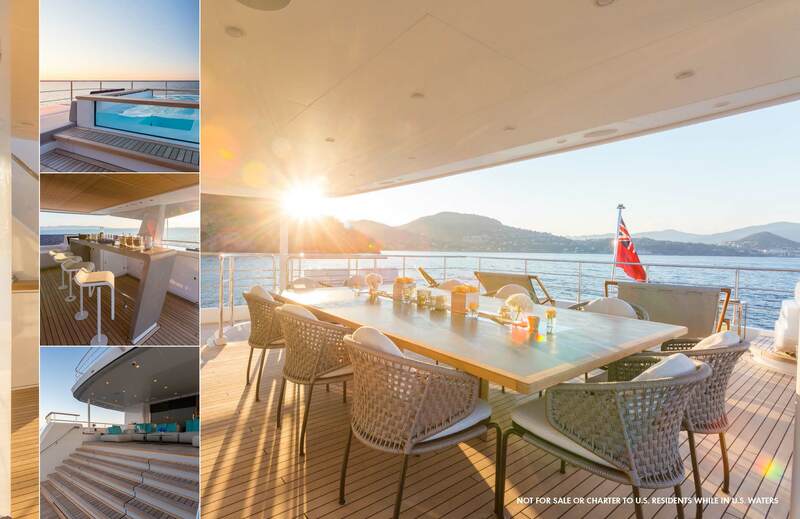 The sundeck is the ideal observation space, with statement central bar, Jacuzzi and cocktail/dining space. 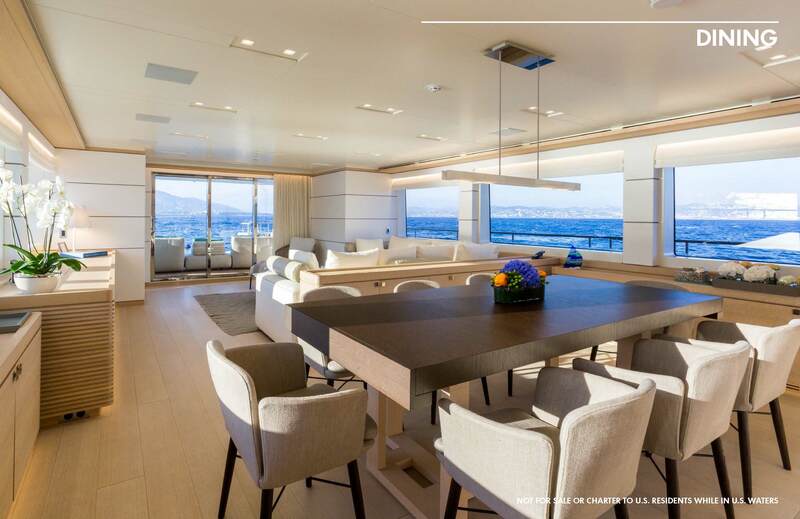 Recently being awarded the ISS Superyacht Interior 2016 award (attached), this incredible yacht is the perfect setting for any successful charter…and at 298 GT, she’s A LOT of boat!